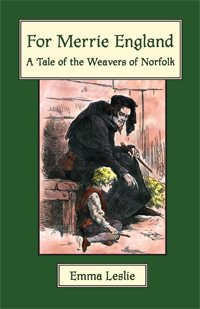 In the fall of 1357, a Flemish weaver travels around the countryside in England, at the request of the king, seeking apprentices to learn his trade. Along the way he meets a prosperous wool merchant with two sons - big, strong, sixteen-year-old Roger and small, crippled, thirteen-year-old Tom. The merchant is eager to advance his elder son but the weaver feels drawn to the intelligence of young Tom who is seen only as a burden and a curse. When Roger suddenly disappears one evening, the weaver sees his opportunity to help Tom, but will Tom's father agree to his startling plan?